Located in White River State Park, the museum started in 1862 during the civil war and now sits right in the heart of Indianapolis, Indiana. The magnificent building is 3 stories filled with Indiana's past, present, and future as well as cultural, scientific, historical, and art exhibits. The Museums collection consists of around 11 exhibits that defines Indiana's culture a many Archaeological factors. They also have a wide variety of interesting and awesome changing exhibits that rotate through out the year. On your trip to Indiana don't forget to check out the Indiana State Museum for a adventurous educational time. Originally the Hall of Fame Museum was established in 1956 and held a few race cars but eventually realized it was time to expand and in 1976 the building was finished and opened as a more modern and larger museum. The building is over 96,000 square feet holds a 30,000 foot museum display that has around 75 vehicles on display. 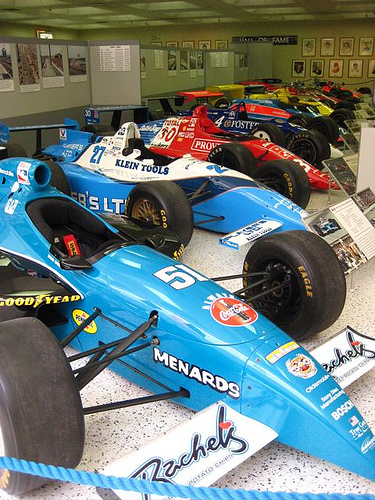 The collection consists of equipment used for timing and scoring the Indianapolis 500 from the very first race to today, a large trophy collection, and a 20 minute screening of rare historic footage from Indianapolis highlights. The museum is open 364 days a year and is great for all you race fans to get an inside historic look of the fastest sport around. With Budget and rentalcarmomma.com, you can save a ton when your renting a car in Indiana. Check out some of our great offers by clicking on the coupon below or one of the links to get started today. The University of Notre Dame is located in South Bend, Indiana and was founded by Rev. Edward F. Sorin, C.S.C., of the Congregation of Holy Cross in 1842. Divided into 4 different colleges the Arts and letters, Science and Engineering, the Mendoza College of Business, the School of Architecture and the Law school and has over 40 centers of special programs, The University is a highly competitive school for admission. The 1,250 acres campus contains two lakes and 138 buildings and is known for the beautifully renovated 128 year old Main Building that is famed for the Golden Dome and is one of the most known university landmarks all over the world. The Zoo is located in White River State Park in beautiful Indianapolis. 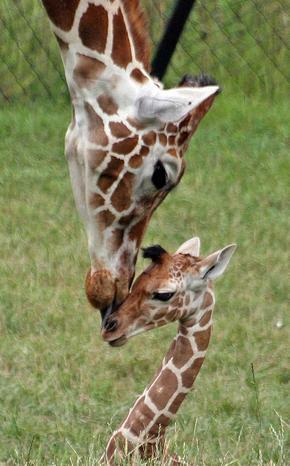 The Zoo first started out as a Children's zoo in 1964 with only a few animals inhibiting the area. It went through a serious of remodeling and opened a new zoo in 1988 and was accredited by the Association of Zoo's and Aquariums. The Zoo today has about 2,000 different species that inhibit their own natural habitat at the zoo from the Forest, the Ocean, and the Desert. At the Zoo you can also experience something you cant do anywhere else in the Midwest, meet dolphins face to face at the Dolphin in-water Adventure. Encounter the dolphins up close and personal in the water as you learn signals, dolphin behaviors and interact with these special creatures. It's a memory that will last a life time. Also at White River State park you can also experience the beautiful Beautiful Botanical Garden that is made up of thousands of different variety flowers on 3.3 acres. Avis has some awesome discounts just for our rentalcarmomma.com customers. Enjoy downtown Indiana with an Avis rental car. Let Avis get you where need to go. Click on the links below to get started today. Holiday World is an adventure park that is super fun and exciting for all ages located right in the middle of Evansville, Indiana. When you need a good cool off from the warm Indiana sun, splash around in the cool waters or get your adrenaline pumping on some exciting roller coasters, Holiday World and Splashin' Safari is the place for you. They have 15 awesome water rides, slides and pool in Splashin' Safari and over 20 different rides for the family at Holiday world, your sure to leave with a smile. Don't forget to check out the Holiday World Shows as well. Let Enterprise get you where you need to go with their striving customer service and wide variety of car choices. Enterprise will even pick you up! Rentalcarmomma.com and Enterprise has partnered up to get you the best rental car discounts out there. With National you have tons of choices on your trip to Indiana. Don't let getting lost ruin your trip, rent a car with a top of the line GPS system so you always know where your going. Save time and money when u rent with National. In November 1883 the museum started out with only 453 works of art and is now known as the 5th largest art gallery in the country. At the Indianapolis Museum you will find a variety of different art from many different cultures and periods in art history ranging from African art to contemporary art. The collection consists of over 50,000 pieces of art including drawings, photos, paintings, and sculptures. Outside the Museum, there are 4 beautiful gardens that make up 152 acres of land. Some of the gardens have been around since the early 1920's and have been renovated today. This State Park is 1,700 acres of beautiful land containing a few small lakes as well as over 3 miles of tributaries, trails and picnic areas. The Facility has many of recreation activities available including, camping, fishing, hiking, a 18 hole golf course, a nature center, and Horse trail rides and even hay rides. Its a great place to enjoy the scenery and the beautiful Indiana weather. Dollar will provide you with a great rental car and an even better price. With a name like Dollar Rent-a-Car, you know that you will be getting excellent prices. With friendly staff you'll be on you way fast, and without any problems. Chose Dollar for your visit to Indiana. With over 400,000 square feet, the Children's museum of Indianapolis is well known as the largest children's museum in the world. The museum has been exhibiting more than 110,00 artifacts in their collection with tons of hands on exhibits and changing exhibits for over 80 years. The building for the Children's Museum of Indianapolis is 4 levels that reach over 70 ft. The top level includes exhibits like ScienceWorks that lets kids explore and test out scientific principles for them self, the Carousel of Wishes and Dreams that is the largest gallery artifact in the museum. On the third level it is all about play, stories and children making a difference. The second floor is dedicated to the special and changing exhibits. Finally on the first floor its all about info and dinosaurs and on the museums lower level, there is a theater with 350 seats that holds live interesting entertainment and an awesome Space Planetarium where kids can check out the awesome effects of space. Its a kids domain but its also great for parents to have fun as well. While your in Indiana make sure to check out the Children's Museum of Indianapolis. Thrifty Rental car has partnered up with rentalcarmomma.com to get you the best rates when you travel to Indiana.